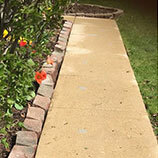 If you’ve got concrete that has started to sink or jut up in random spots, you know how frustrating, even dangerous, it can be to try and do things as simple as walk on your sidewalk or move things in and out of your garage. Maybe you’ve been able to catch yourself from falling so far, but there’s no guarantee that the next trip won’t result in a bad spill. 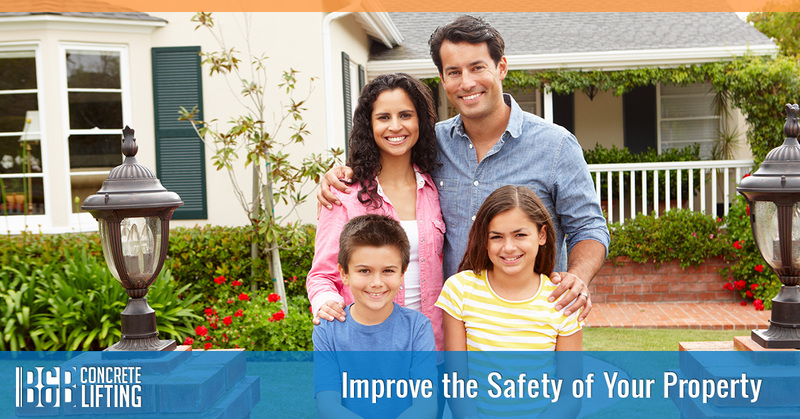 Concrete lifting can help save you and your family from potentially serious injuries. Falls are the single most common cause of visits to the emergency room in the United States, according to the National Floor Safety Institute. They also become more dangerous as a person ages throughout their lives; the consequences of falling are more severe as a person gets older. Perhaps even more frightening is the statistic that shows how most fatalities in the home are caused by falls. The majority of those deaths are attributed not to falling off of a ladder or from the roof, but from ground level falls like those that follow tripping over something on the ground. Many older people will fall in their lives and the results are almost never negligible — a fall for an older person can mean a loss of mobility and their very independence, as many of them find that they are no longer able to care for themselves after falling and have to be checked into a nursing facility. While children and younger adults are less likely to suffer from catastrophic injuries, they still run the risk of pain, expensive doctor bills, and lost wages after a fall. If you don’t want to take the chance that you or your loved ones and neighbors might trip and fall on any concrete on your property that has started to sink, you have a couple of options. Option 1: You can call a contractor to come and look at your concrete. He’ll probably tell that it is simple and easy to replace and he’ll give you a quote. If you say yes, he’ll eventually bring a crew and they’ll repour your concrete. However, it is still possible that your problem won’t be solved. 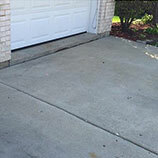 That contractor might not have done the best job stabilizing the ground that your slab was poured onto, or he might not be aware of the underlying causes that let concrete start to sink. It’s also going to be a fairly messy process. 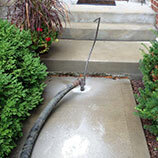 Option 2: Call B&B Concrete Lifting to take care of all of your concrete repair needs. With concrete lifting, we can save you a bunch of money (anywhere from 50-70 percent) compared to replacement, and with a lot less mess. And because we are fixing the CAUSE of your concrete sinkage, it won’t happen again. Our process ensures that any air or water pockets are filled with a solution that pushes any non-stable material out so that your slabs rest on solid ground. 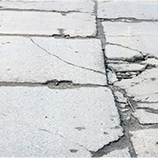 We have decades of experience in making your concrete look like new while keeping you and your family safe from trips and falls. Call B&B Concrete Lifting today.